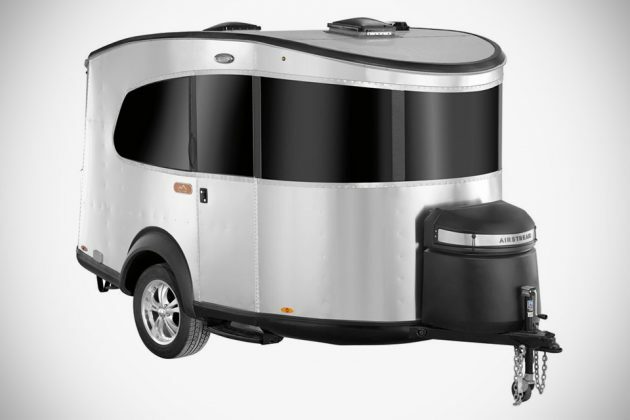 If the ever iconic, silver hull Airstream camper is a little too big for your need, or simply because your handsome SUV lacks of the torque to lug it along, well, then Airstream’s new Basecamp may be what you need. 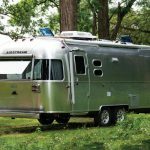 It is adventure on wheels without the heft and it is totally modern looking, so it should make look a little less old folksy – if that’s your perception of the silver hull Airstream. 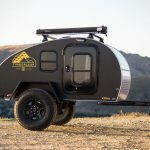 Coming in at under 3,000 pounds, this sleek, compact camper trailer does not need a serious torque monster such as a truck to tow. 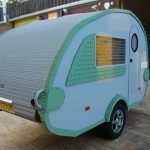 It can be pulled along with small SUVs, which addresses the practicality side of camper trailer ownership since not everyone has a truck. So how compact are we talking about? It measures 16’ 3” by 7’, but while small, it is not lacking of amenities. Within it boasts a complete kitchen with stove, sink and fridge, plus a bunch of storage, a wet-bath with toiler and shower area, and a living area that can be converted to a sleep quarter for two (it has more storage space here too). Also built into Basecamp are a 22 gallon freshwater tank, a black water tank, and a 14,300 BTU heating system. There’s no gray water tank, though. I guess those are about as much as it could accommodate. 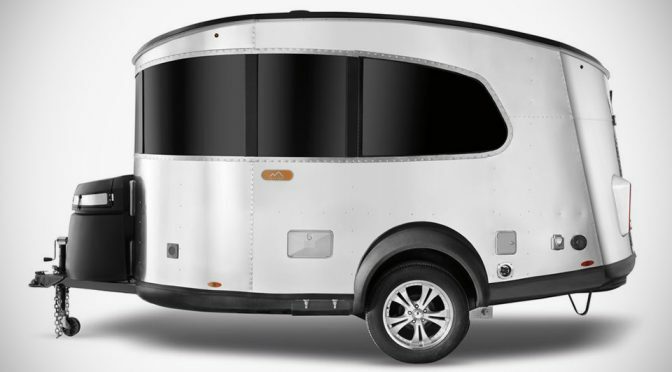 Aesthetically, Basecamp’s design is a huge departure from Airstream’s usual bullet-shaped hull, though the contemporary line does bear subtle hints of the iconic Airstream like the signature aluminum hull with riveted panels. 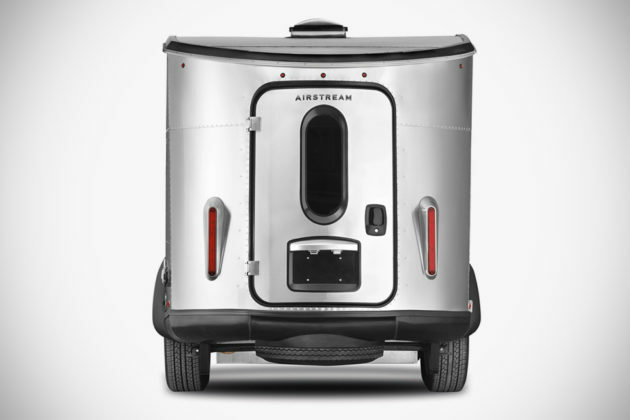 Wrapping up Airstream’s newest camper is a panoramic, wraparound windows that let you feel more connected to the outside when you are inside and also, fill the cabin with natural light. As cool as it sounds, the Basecamp does come with a rather steep sticker. Expect to shell out at least $34,900 when it becomes available this October. 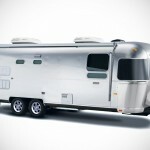 Images: Airstream Inc. via The Verge.